Immediately adjacent to Canoas Creek on the Santa Teresa High School campus lies Phoenix High School, a small alternative education school that was lacking a true science classroom of their own, as well as an identity to their campus. 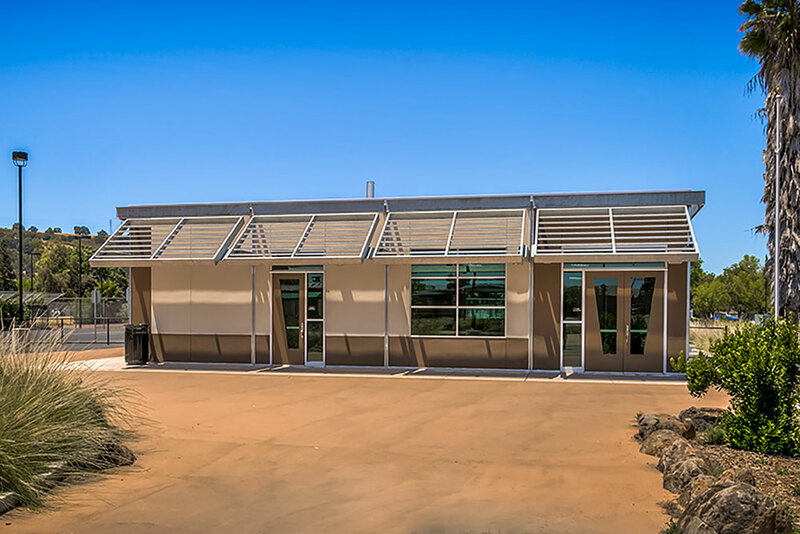 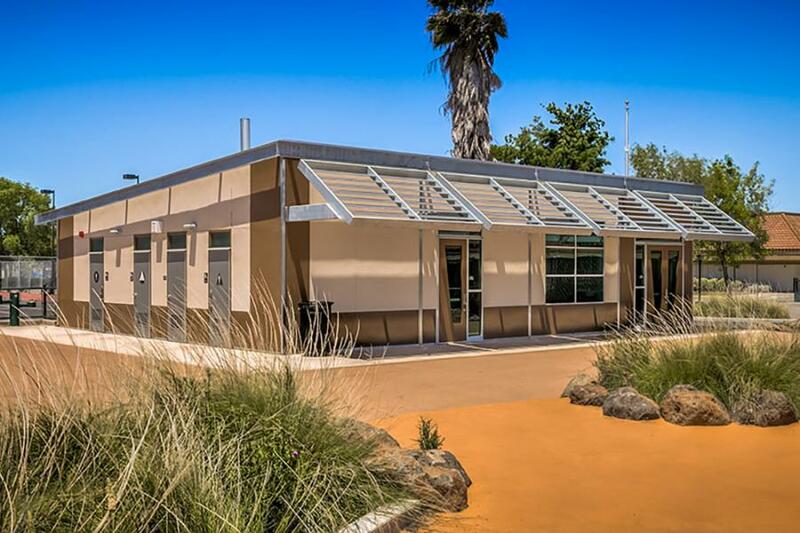 To solve this issue, Artik worked with American Modular Systems and installed a new Gen7 building that incorporates sustainability in its design through the use of recycled materials, high-efficiency fixtures, LED lighting, and allows for future installation of solar panels. 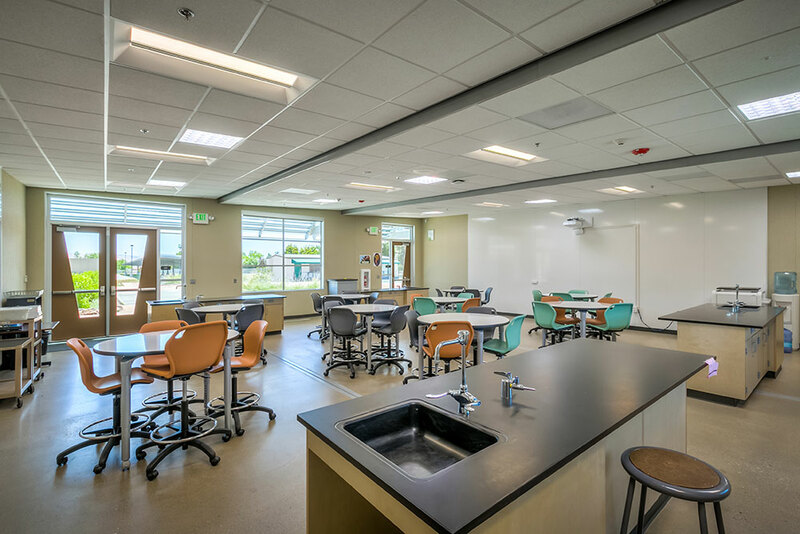 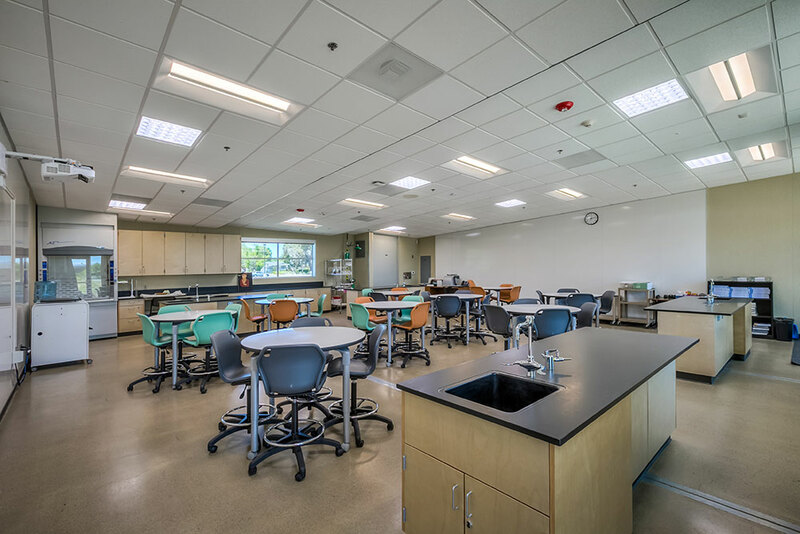 This building also includes built-in science workstations with chemical resistant counters, writable wall surface from floor-to-ceiling, and attached adjacent restrooms that serve the entire campus. Along with the addition of the science building, the exterior spaces of the campus were reconfigured to give the school a central courtyard with native, drought tolerant planting and natural seating areas. 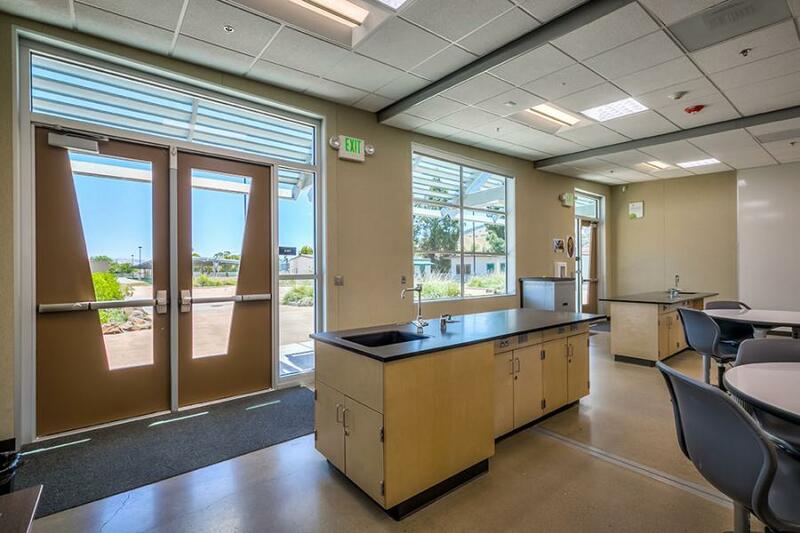 These natural outdoor gathering and learning areas, along with the addition of a contemporary science building, help transform the existing campus into an innovative and inspiring small high school.